Practically every lecture course or textbook on electronics describes how to use an operational amplifier as a comparator. Here we look at the possibility in more detail, and see how it can often be a very poor idea. The idea behind the comparator configuration is simple. An op-amp has a very high open-loop DC gain which means that even a tiny differential input voltage will drive the output to one extreme or the other. If the voltage at the non-inverting (“+”) input is greater than that at the inverting (“–“) input the output goes high; otherwise the output goes low. In other words the two voltages are compared and the output is a binary indication of which of the two is the greater. 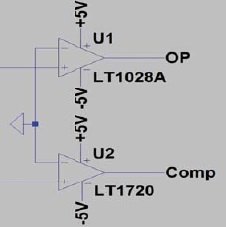 Figure 1: SPICE simulation results: an LT1028 op-amp pressed into service as a comparator versus a real comparator type LT1720. So the op-amp looks like the perfect device to use as a comparator. But why then do there exist special-purpose comparator devices? Looked at from the outside, op-amps and comparators appear indistinguishable. Besides power connections, they both have “+” and “–” inputs and a single output. Taking a look at the internal circuit diagram, again the two devices appear broadly very similar (although a comparator device with an open-collector or open-drain output does look more obviously different from an op-amp). The big difference, which is not apparent without looking at the circuit more closely, is that the output stages of operational amplifiers are designed for linear operation, with the general aim of amplifying the input signal with as little distortion as possible (assuming that some negative feedback is provided), but in the case of a comparator the output circuit is designed to operate in saturation, that is, to switch between the upper and lower output voltage limits without the provision of external feedback. Comparators often also offer a ground connection in addition to the usual power connections, and provide digital logic levels at their outputs while accepting symmetrical analogue input signals. What do these differences mean in practice? Comparators can react very quickly to changes in their input voltages with short propagation delays and output rise- and fall-times all specified by the manufacturer. In contrast, because op-amps are not expected to be used in this mode, manufacturers tend not to give explicit specifications for propagation delay and rise- and fall-times (although they do normally specify slew rate), and these characteristics can be considerably poorer for op-amps than for comparators. To take an extreme example, a low-power op-amp might have a propagation delay measured in milliseconds, whereas a comparator might react in nanoseconds: a million times faster. There is a further problem with op-amps. Many devices exhibit significantly increased power consumption when the output is in saturation, the resulting power dissipation on occasion being enough to destroy the device. Also, many op-amps (those not advertised as having “rail-to-rail outputs”) are not capable of driving their outputs close to the supply rails, for example having a maximum output voltage of 3 V with a 5-V supply. There can also be restrictions on the inputs. Some op-amps are equipped with antiparallel diodes across their input terminals, which prevent differential input voltages of more than about 0.6 V, whereas comparators’ inputs are often allowed to vary over the whole supply range. Of course, there are many noncritical applications where an op-amp will work perfectly acceptably as a comparator, but it is not a practice to be recommended. The skeptic should lash up a quick test with a comparator and an op-amp side-by-side, each fed with a squarewave signal with rapid edges. Some of the potential pitfalls are shown up more easily in simulation, such as the possibility of an op-amp being so slow that it entirely misses a narrow pulse. 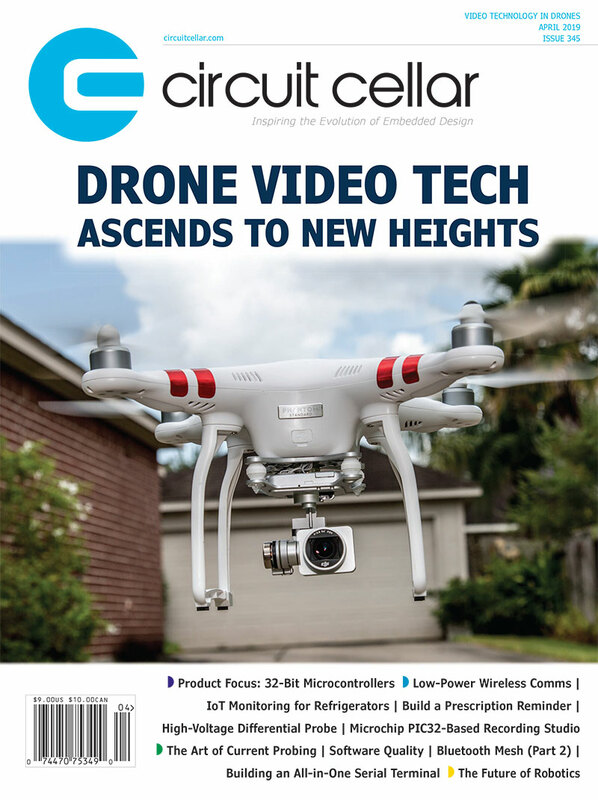 It is hard to guarantee circuit performance, current consumption, and even the survival of the device. 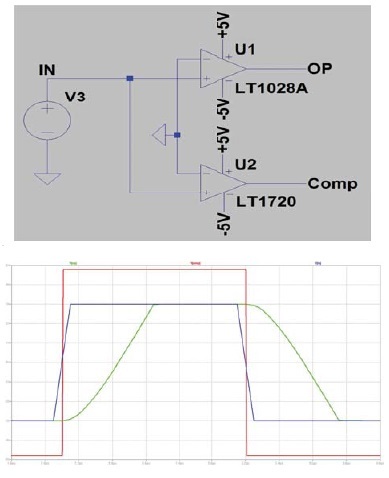 The illustrations show a SPICE simulation of a relatively nimble op-amp (an LT1028 with a minimum slew rate of 11 V/µs) and a type LT1720 comparator. It is clear that the comparator responds sooner and with a much shorter rise-time. Its output swings all the way to +5 V rather than the 3 V managed by the op-amp. The situation is similar when the output swings low: the op-amp is much slower and only reaches an output voltage of –3 V rather than –5 V. The original squarewave is hardly recognizable at the op-amp’s output. Although the LT1028 cannot achieve its maximum specified gain with a –5-V supply, it is still a factor of at least 20 faster than an LM324 (with a slew rate of 0.5 V/µs); what the latter would make of our squarewave would not be a pretty sight. The op-amp fails to cope at all with shorter pulses, which are then effectively “swallowed,” while the comparator continues to handle them without difficulty. This entry was posted in EE Tips and tagged comparator, EE Tip, op-amp by Circuit Cellar Staff.